The only thing worse than eating cafeteria hot lunch every day is bringing the same boring sandwich from home for weeks on end. But lunch doesn't have to be boring. 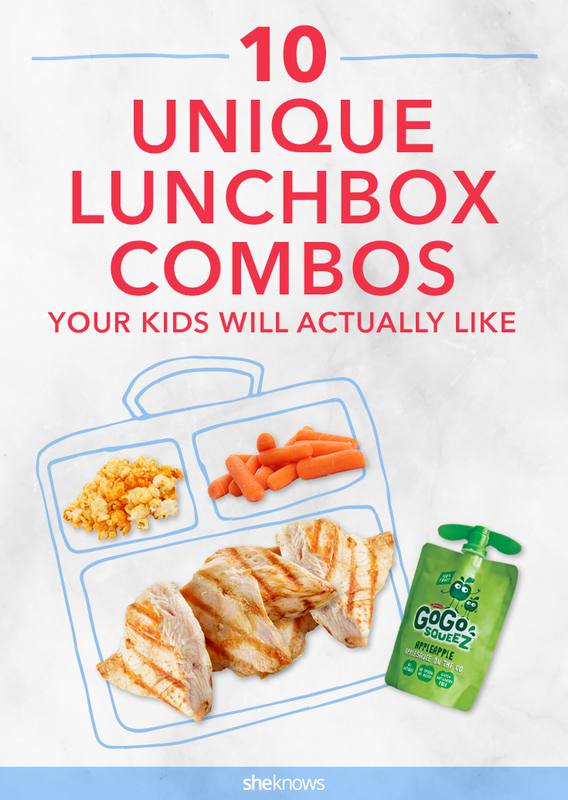 These unique combos packed with goodness will keep kids satisfied all day, and before long they may actually be excited to see what's inside their lunchbox. 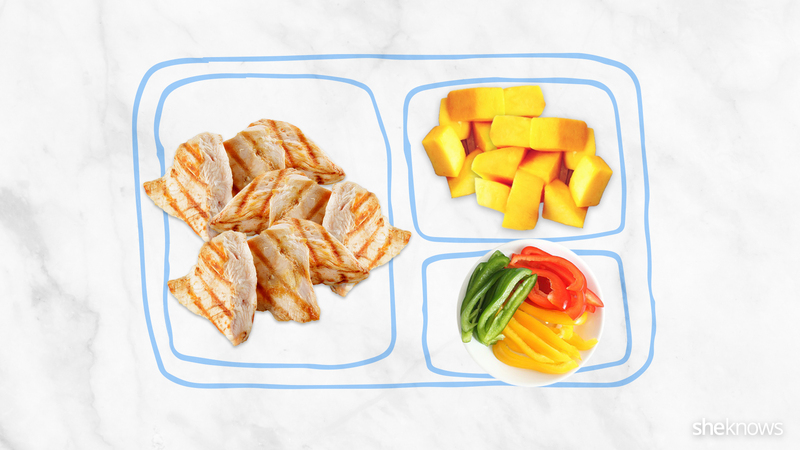 This balanced meal has a little of everything — protein, veggies, fruit and (of course!) popcorn. 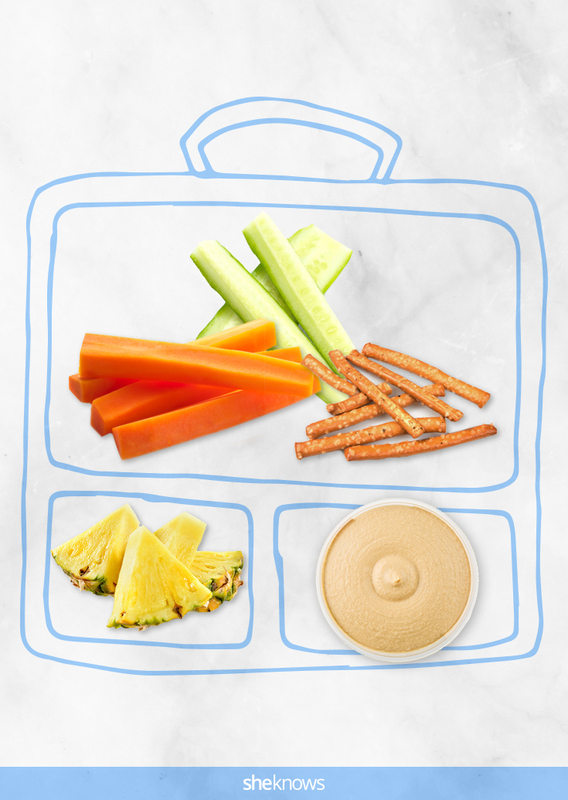 Kids can dunk their pretzels and veggie sticks in hummus, then enjoy tangy pineapple for dessert. 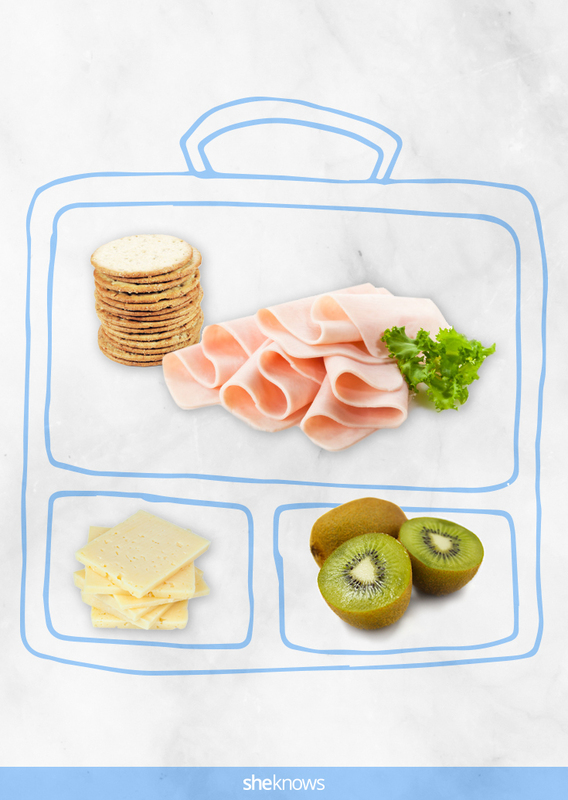 Make mini sandwiches from crackers, turkey and cheese, then enjoy the sweetness of fresh fruit. 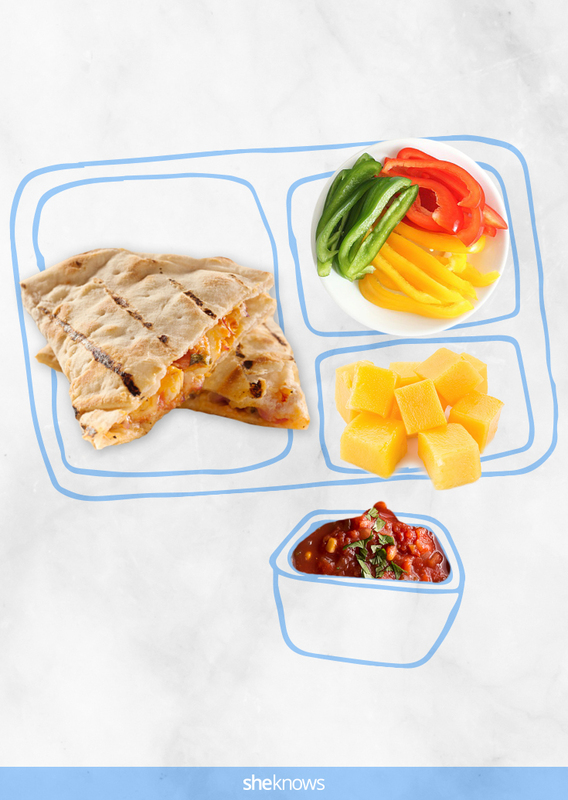 No one will miss the cafeteria food when you pack a leftover quesadilla, salsa, peppers and mango in their bag. 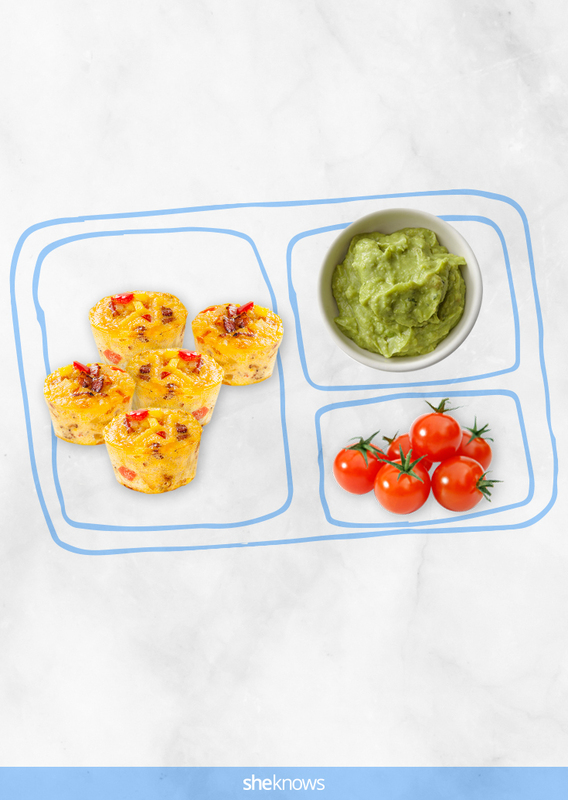 Guac makes everything taste better, including nutritious mini frittatas and tomatoes. Skip the sandwich and let kids dip whole-wheat pita chips in egg salad for lunch with a fresh tangerine for dessert. 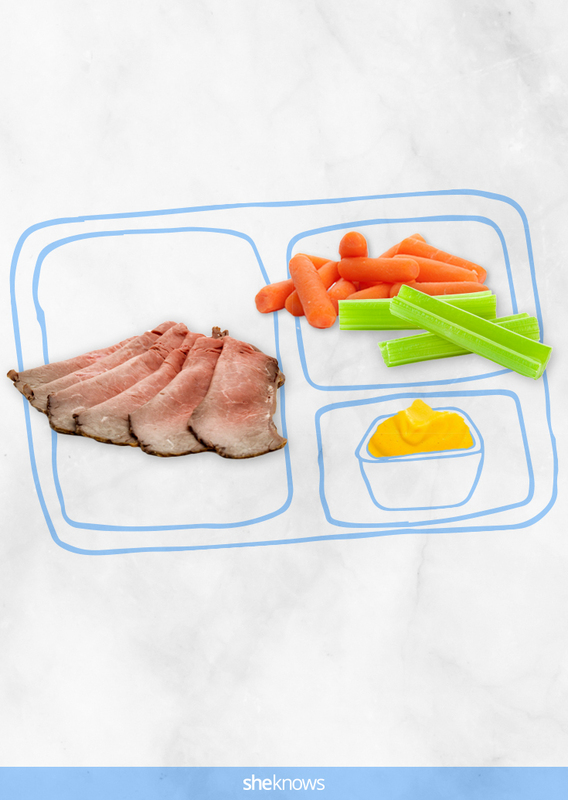 Roast beef and veggie sticks can both get dunked in mustard in this fun lunch. 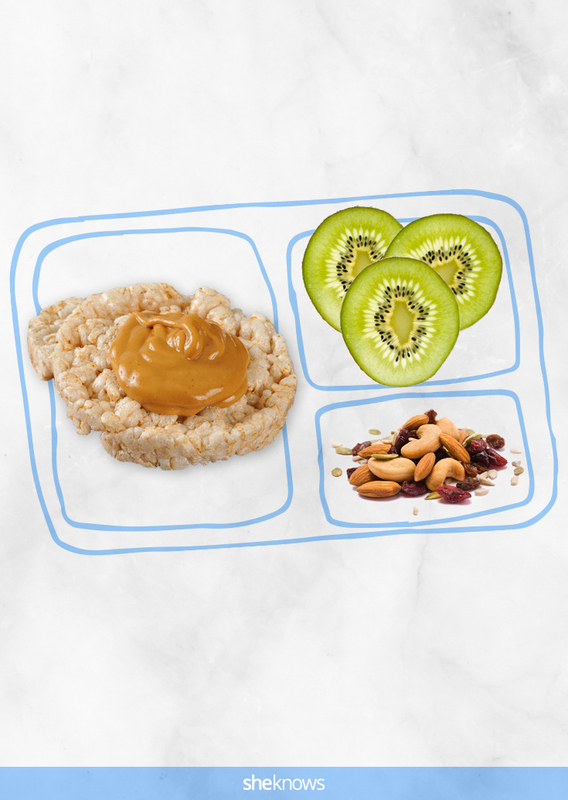 Make rice cakes irresistible with peanut butter, and serve with trail mix and kiwi. 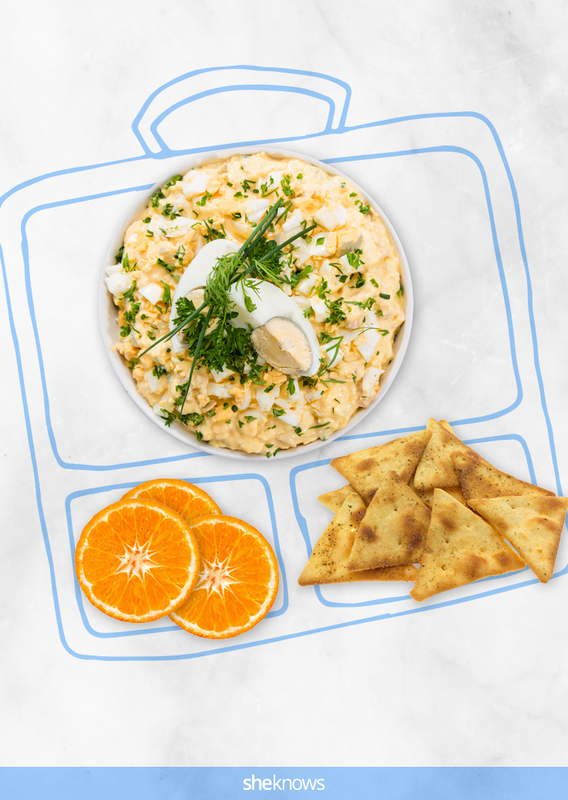 Hummus dip livens up leftover chicken and a soft pretzel in this meal, finished with a mandarin orange. 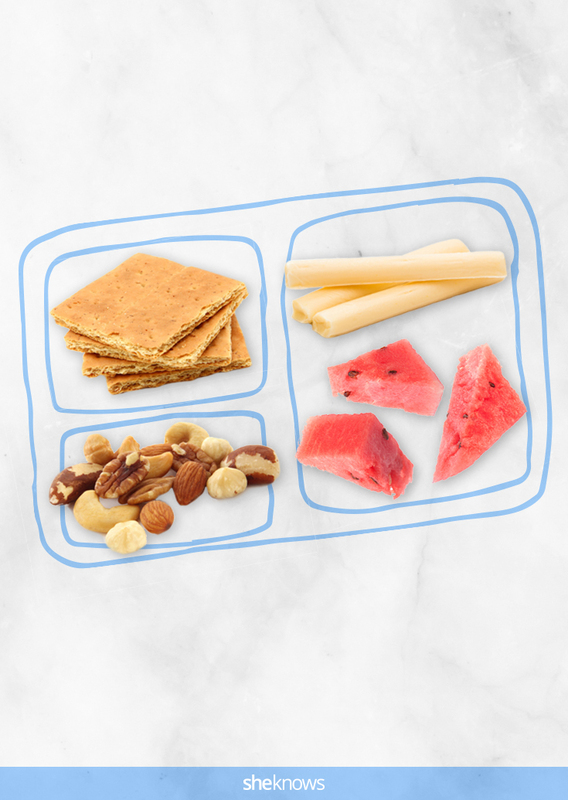 This savory-sweet meal packs in flavor and protein with string cheese, nuts, watermelon and graham crackers. 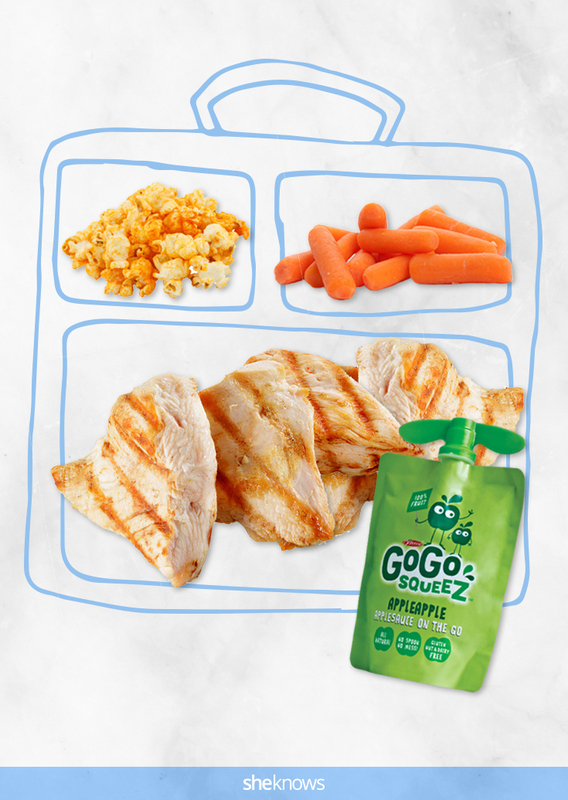 Pin this list for when you're stuck in a lunchtime rut!